OTTAWA—Music lovers and listeners of all ages can look forward this summer to another classy and intimate program focused on small ensembles as the nation’s capital marks 25 years of Chamberfest presented by the Ottawa Chamber Music Society. The award-winning festival and tourist attraction, with a vision of “changing lives through music,” is set to offer a diverse lineup of concerts from July 26 to Aug. 9. A range of some 600 years of music will be presented, primarily from the core classical repertoire while also embracing high-quality experiences from other styles such as folk, jazz, and improvisational. Among the Canadian and international virtuosos who will be performing are pianist Angela Hewitt, gypsy violinist Roby Lakatos, and the young Rolston String Quartet (RSQ), named among the CBC’s “30 Hot Canadian Classical Musicians Under 30” in 2016. 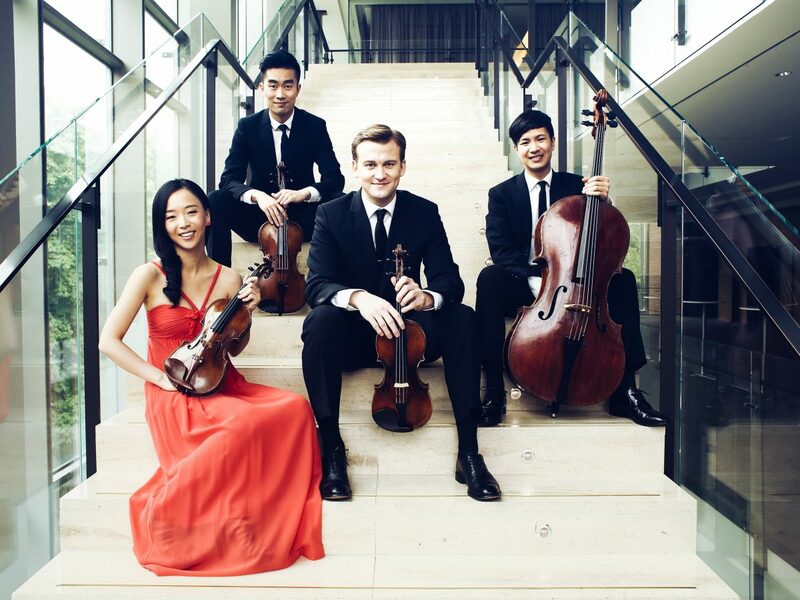 The RSQ, featured on the front cover of the preview brochure on the Chamberfest website, speaks to the prominence of the string quartet as the most popular genre of chamber music in the classical period (about 1750–1825). String quartet compositions are always written for the same four instruments—two violins, one viola, and one cello. The RSQ has Luri Lee and Jeffrey Dyrda on the violin, Hezekiah Leung on the viola, and Jonathan Lo playing the cello. They will be presenting a joint concert with Israel’s Ariel Quartet to perform the music of Mendelssohn, Schumann, and Ravel at the festival. Their concert is one of six evening performances belonging to the festival’s premium Bytek Signature Series. 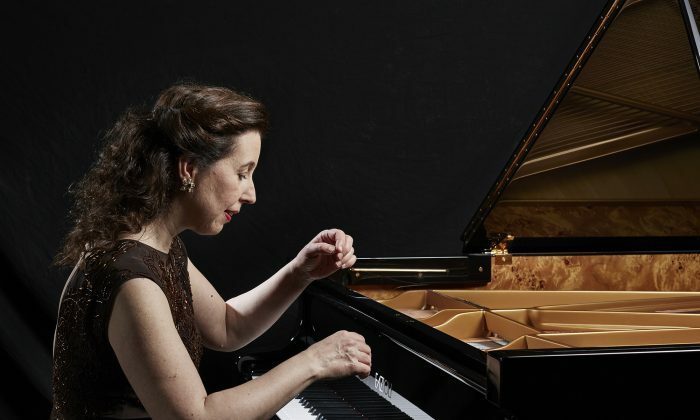 Angela Hewitt, featured in two of the six signature concerts, is based in Ottawa and one of the recipients of the 2018 Governor General’s Performing Arts Awards for a lifetime of achievement in the arts. She is regarded as one of the leading interpreters of Johann Sebastian Bach and will perform the fifth and sixth recitals of her four-year 12-recital “Bach odyssey” exploring the complete solo keyboard works of the prolific German composer. “My journey with Bach began from the day I was born, if not before,” Hewitt wrote on her website describing the odyssey, explaining that her father was a cathedral organist and played all of Bach’s organ works “with such passion, intelligence, and dramatic flair.” Speaking of her father in an interview with the Ottawa Citizen in 2016, Hewitt noted how “the music was an expression of his faith” and that she herself feels a connection to the spiritual nature of Bach’s music. Hewitt will perform Book I of the “Well-Tempered Clavier” and the “Goldberg Variations” in her Bach Odyssey V and VI recitals respectively, both among the most famous and cherished of Bach’s masterpieces. 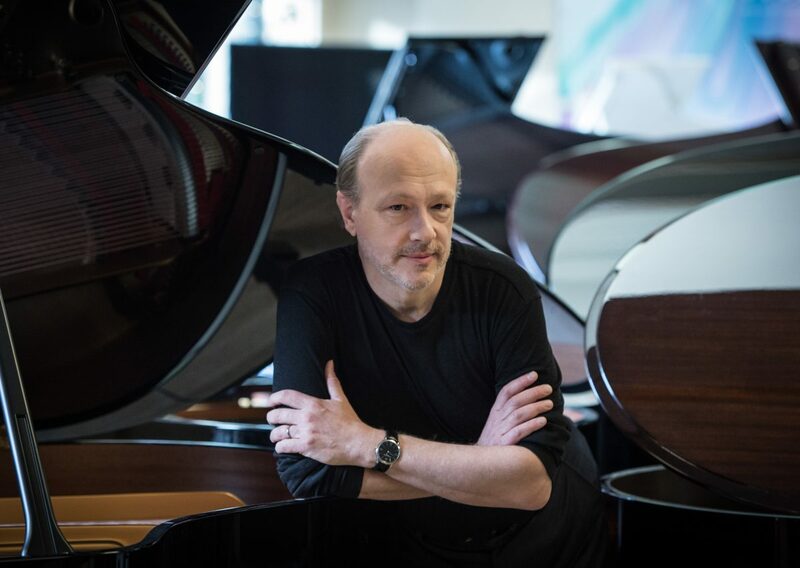 Another celebrated artist in the signature series is Montreal-born pianist Marc-André Hamelin. In his concert Hamelin will play Chopin and introduce concertgoers to music by Russian composer Samuel Feinberg. Hamelin will also be joined by the Quatuor Danel string quartet from France to perform Dmitri Shostakovich’s Piano Quintet. 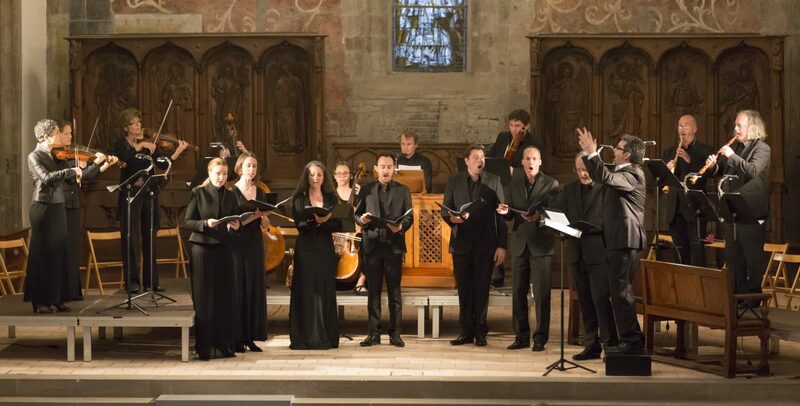 The two other concerts in this series feature vocal and instrumental performances by Switzerland’s Baroque ensemble Gli Angeli Genève, along with chamber orchestra I Musici de Montréal joined by Cameron Crozman highlighting Schumann and French-Canadian composers. Traditionally chamber music is a form of classical music written for a small number of instruments, with the word “chamber” conveying the idea that the ensemble could fit in a limited space, such as a palace chamber or one’s sitting room at home used for socializing with guests and entertaining family and friends. Chamber music is often called the “music of friends” because of this intimate quality. Goethe described it—specifically string quartet music—as “four rational people conversing.” Going to a chamber music concert can indeed be like listening to people having a friendly conversation or watching kindred spirits in a joyful collaboration. It’s a sense of friendship and connection that contributes to making a Chamberfest concert an accessible and enriching experience. When the summer festival first began in 1994, it also brought concertgoers the opportunity to enjoy great chamber music in the city’s stately churches. Other venues were later added that similarly provide inspiring settings and connection with the community, such as the prestigious National Gallery of Canada and more recently La Nouvelle Scène, a theatre centre built by the Franco-Ontarian community. 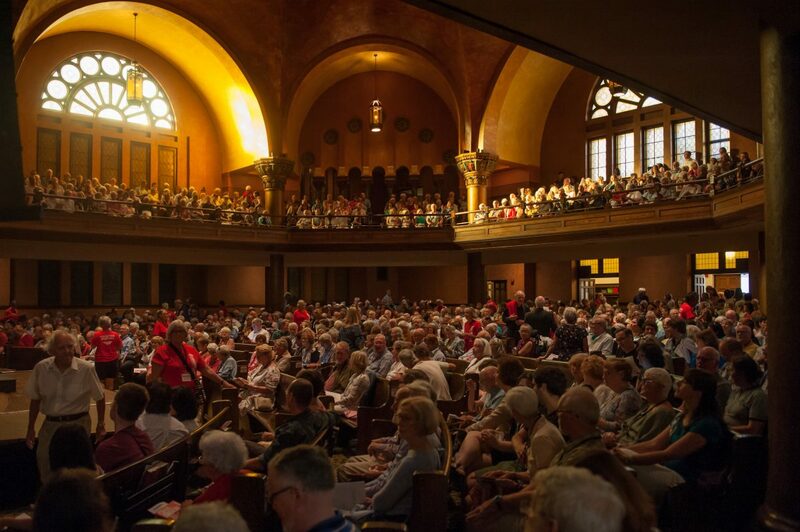 Among the most popular venues of the festival is the historic Dominion-Chalmers United Church, a landmark in downtown Ottawa and an architectural gem renowned for its acoustics. The church is the site of all six of the evening concerts of the Bytek Signature Series and many of the festival’s other performances. In addition to the Bytek series, another eight concerts have been unveiled so far that are part of the festival’s general admission Marina Kun Series, late-night (10 p.m.) Chamberfringe programs, and performances dedicated to great composers who have contributed to the ongoing chamber music canon. There will be three concerts celebrating the music of Ludwig van Beethoven, Wolfgang Amadeus Mozart, and Leonard Bernstein. For the tribute to Mozart, Chamberfest artistic director and cellist Roman Borys and his fellow members of the Gryphon Trio will collaborate with two other ensembles: the Pražák Quartet, a string quartet from the Czech Republic; and the Pentaèdre wind quintet, ensemble-in-residence at the Conservatoire de musique de Montréal. The other members of the trio, pianist Jamie Parker and violinist Annalee Patipatanakoon, are both artistic advisers of the festival. The Marina Kun Series opens with a performance by Hungarian master violinist Roby Lakatos, a versatile musician who has been described as “the fastest-fingered fiddler in the world.” Born into a family of Romani—or gypsy—violinists, Lakatos is a genius in classical as well as jazz and Hungarian Romani music. The series also features the young classical virtuosos of the Z.E.N. 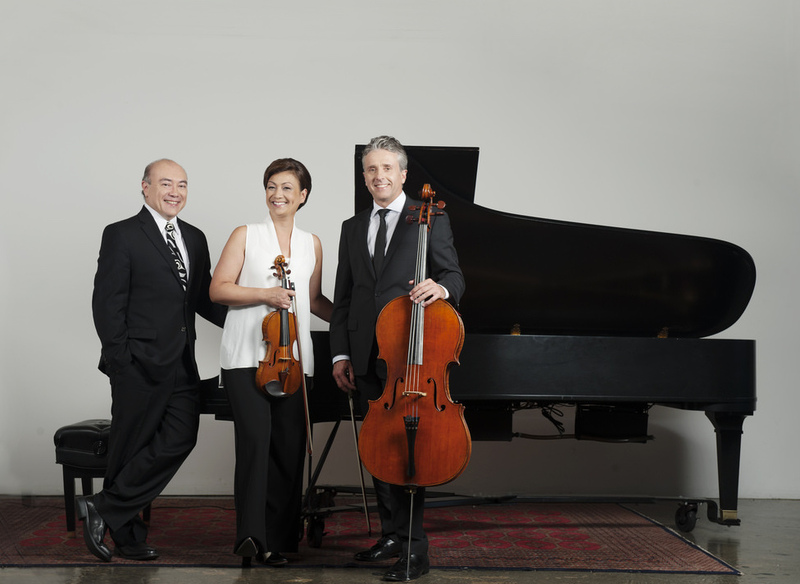 Trio along with Canadian soprano Simone Osborne, bass-baritone Gordon Bintner, and accompanist Michael McMahon. The Chamberfringe performances will include a concert paying tribute to the works of George Gershwin and another featuring The Fretless, a Canadian folk string quartet whose album “Bird’s Nest” last year won the Juno Award for Instrumental Album of the Year. The two-week festival, the largest festival of its kind in the world, will also offer outdoor concerts, family concerts, midday concerts, and chamber chats. It will be followed by a fundraising gala this autumn and a 2018-19 fall-spring concert series among other celebrations and activities. Visit chamberfest.com for more information and to buy festival passes and tickets. Early-bird options are available until April 30.